It seems that contests and give-a-ways have been quite plentiful the past few weeks and this week is no different. So I'll just cut straight to the chase and cover them all right here for you, our fans. Karl at Live Free and Hike New Hampshire is still looking for that 300th fan on his Facebook page. Once he hits 300, he has a special surprise he got from the Mount Washington Observatory to award one lucky fan. So if you haven't already, get on over to Live Free and Hike New Hampshire's Facebook page and click that "Like Button". He only has 9 more "Likes" to go. 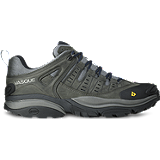 You still have an opportunity to get in for a chance at a pair of Vasque Skree hiking shoes over at Outdoor Informer. You can get one entry a day for a chance to win the shoes until May 24th. So what are you waiting for? Head on over and get your entry in today and every day until the 24th. Jim over at The Husky Hiker has teamed up with Adayak.com to give away a t-shirt to two lucky readers. All you have to do is comment on the give away post. If you want a second entry for the contest, simply tweet the message that appears in the same post. You better hurry because you only have until May 17th to enter. Kraig at The Adventure Blog still has the "Ditch the Deet" contest going on. It is now in it's third week and he still has one more prize pack to give away after that. For all the details, head on over to The Adventure Blog. All the details are in the give away post. Finally, the Outdoor Blogger Network has a fantastic Gear Review give away this week. There are two prizes up for grabs to review, a pair of Vasque Taku GTX hiking boots along with 2 pairs of hiking socks from Goodhew. The second prize is an Eagles Nest Outfitters (ENO) Double Nest Hammock. To get in on this, you have to have an outdoors related blog that is listed in their directory. Once you are listed in the directory, you just have to comment on the gear review give away post. The only other requirement for this is if you win, you have to write a review of the gear shortly after receiving the item, post it to your blog, and send the OBN a link to the review. For more information on the gear review opportunities and requirements check out their requirements page.